nlrb Archives - Page 3 of 27 - CUE, Inc. It is becoming apparent that reform of the NLRB is well underway via the leadership of Peter Robb and John Ring. 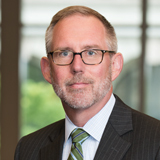 Earlier this week, GC Peter Robb issued guidance issued a new Guidance Memorandum (18-04) detailing how NLRB Regional Offices receiving claims of improper employment policies are to interpret employer workplace rules. Category 2 Rules are not obviously lawful or unlawful, and must be evaluated on a case-by-case basis to determine whether the rule would interfere with rights guaranteed by the NLRA, such as conflict of interest policies or broad confidentiality rules that could impact employee protected concerted activity rights. Category 3 Rules are generally unlawful, such as rules barring discussion of wages or rules against joining outside organizations. Board chair John Ring has also been active, telling members of Congress the NLRB will be engaging in rulemaking on joint employer issues this year. Ring also announced this week that the NLRB will conduct a “comprehensive review” of its ethics policies concerning the circumstances under which a board member should recuse himself from a case. NLRB Chairman John Ring previewed the review in a letter sent to three liberal lawmakers on June 5. Today’s announcement said the board will seek outside guidance and examine the recusal practices of other independent agencies. The review will conclude with a report that specifies conditions for recusals. Earlier this week, the board rejected a motion by Hy-Brand Industrial Contractors to reconsider its joint employer case after the board vacated its decision in February. But board members split along partisan lines over whether an agency ethics official was right to conclude that member William Emanuel had a conflict of interest when he ruled in the case in December.